Tommy Nevin’s Pub, 1454 Sherman Ave, which was a popular bar for students. Evanston and University police are investigating students who stole items from the pub last month. Northwestern students flooded Tommy Nevin’s Pub on Thursday, hoping to soak in one last night at the popular bar before it closes in late November. But a night of revelry ended on a sour note, with the bar closing earlier than many expected as students attempted — some successfully — to take a part of the watering hole home with them. 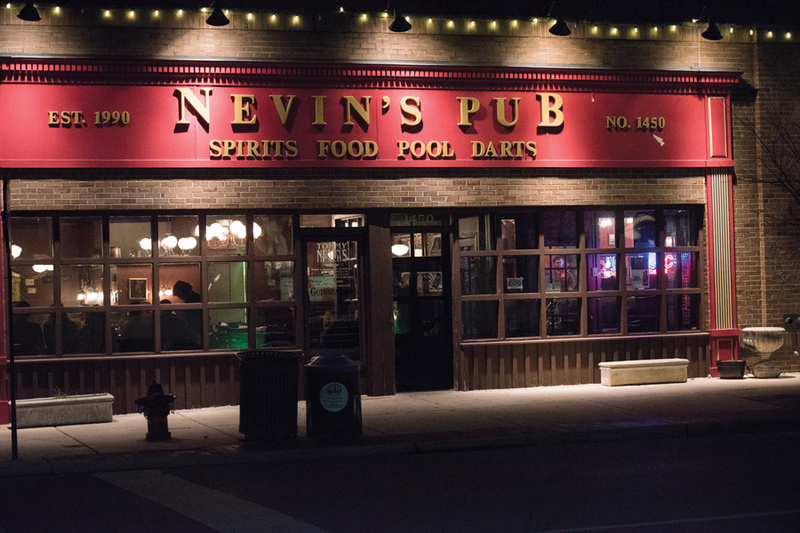 In a Letter to the Editor published in The Daily, bar manager Brian Davenport said Nevin’s walls were rendered bare at the end of the night, with dart boards, photographs and mementos stolen. He told The Daily on Sunday that some property was returned, including a dart board and a neon Guinness sign, but that much remained lost. Davenport, who has worked at Nevin’s for six years, said the bar expected a heavy turnout Thursday but frequently fills up without incident. Davenport said he expects the bar will continue to have busy nights, including the Wednesday before Thanksgiving when he said the place is traditionally filled with college students who grew up in Evanston and are home from school. He said after Nevin’s closes on Nov. 30, the bar will auction off decorations. By any standard, Thursday was particularly packed at Nevin’s. Weinberg senior Daniel Sanders said the tight quarters drove him to leave after three minutes. Davenport said most of the attempted thefts were prevented before students could leave, but he was most saddened that students took mementos that can’t be replaced, including a picture of the three original managers of the bar.